Suit, Cotton shirt with ’70s collar, and Skinny tie by Paul Smith. Graffiti print shirt and trousers by Paul Smith. Cashmere wool twill coat by Bottega Veneta, Patterned suit by Prada, and Patterned satin shirt by James Long. Wool boxy blazer and Wool flat-front pants by Margaret Howell, Cotton shirt with ’70s collar by Paul Smith, and Striped tie by Emporio Armani. Patterned cotton overcoat with coated detail by Valentino, Wool blazer by Margaret Howell, and Cotton shirt by Paul Smith. Gingham shirt and Trousers by Prada. 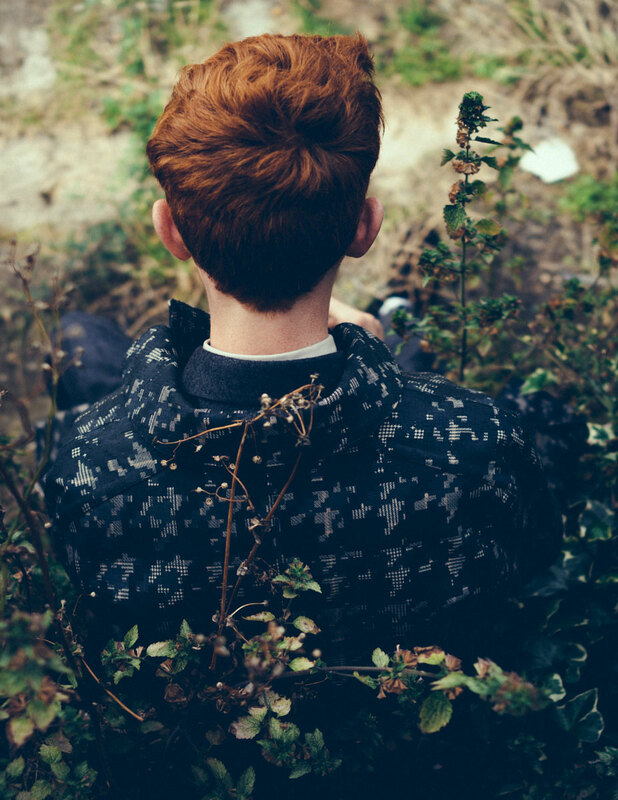 , the 19-year-old, who goes by the moniker King Krule, places primal punk howls on “Easy Easy” (a single he wrote at age 12) against Django Reinhardt-styled guitar lines on “Ocean Bed,” blurring boundaries with maturity and confidence. “Nah man, I just do these things ’cause the label asks. ‘Fashion icon?’ That’s fucked. I mean, whatever people want.” As we talk in a room full of props and antiquities, Marshall strokes a taxidermied sea turtle and rolls out dry wit and insightful intellect in his eloquently deep register. “Easy Easy” is the first single from his debut album, and for all its melodic directness, there is incredible lyrical depth in the theatricality of detail in the starkly sketched scenes and dimly lit characterizations. His writing has been likened to the work of Morrissey and Mark E. Smith. With an album born out of the frustration of growing up, I wonder how experiential it is. 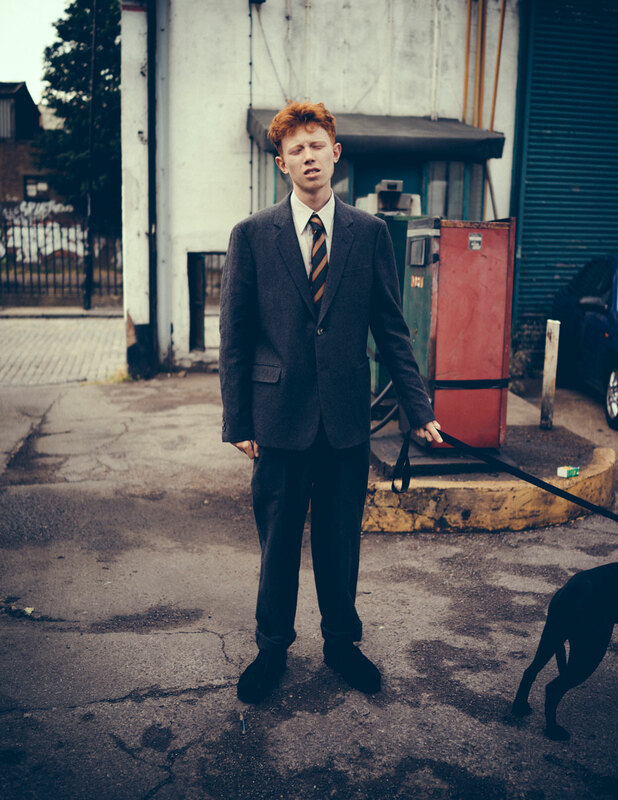 Marshall’s kaleidoscopic approach to sound comes in various guises away from King Krule. His stints on a Rinse FM podcast introduced tracks by Afrobeat legend Fela Kuti, ’90s rapper Ahmad, U.K. post-punk act The The, and his own hip-hop side project Edgar the Beatmaker. His mix-tapes from beat-driven project DJ JD Sports to the early ’90s hip-hop beats he provided for his friend Rago Foot, to spit over and collaborations with electronic duo Mount Kimbie, show his obsessive interest in variation. Photographer: Joost Vandebrug at JoostVandebrug.com. Stylist: Francesca Turner. Producer: Seona Taylor-Bell. Styling Assistants: Giulia Oddi and Hannah Downes.